Nestled in the heart of the city, Lancelot Hotel Lanzarote has access to all the excitement and entertainment a busy resort city can provide. 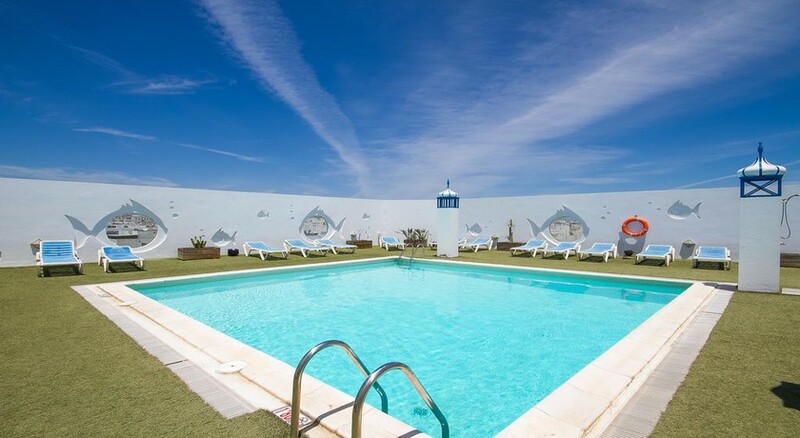 This modern hotel in Arrecife offers guest rooms that are large and cosy, with enormous, comfortable beds. Reducto Beach sits just across the road, which will be very convenient for beach lovers and water sports enthusiasts. Pretty much any water sport you can imagine is available locally, from swimming to fishing, snorkelling, and diving. An on-site fitness centre, restaurant and piano bar provide fun without leaving your home away from home. Guests do not need to step out of the hotel’s premises, as there is an in-house restaurant and bar serving breakfast, lunch, dinner, snacks and much more. Other than this, there is a snack bar and a mini bar, where you can have alcoholic and non-alcoholic beverages. Lancelot Hotel Lanzarote is situated in the heart of Lanzarote, Las Palmas, Spain. Numerous shopping malls, beaches, historical attractions, bars and restaurants are easily accessible to guests of the hotel. The Reducto Beach is right opposite to the hotel, which is surely some good news for the beach lovers and water sports enthusiasts. The Lanzarote Airport is only 5.8km from the hotel, making it convenient for the hotel’s guests to board their flights on time. The hotel features massive guestrooms that feature a contemporary design to lure the modern-day traveller. Lancelot Hotel Lanzarote also offers suites which comprise of a massive living room with kitchen, two independent double rooms with all the comforts. You will find the suites on top floor of the hotel, where you will also find a spectacular terrace with magnificent views of the sun, sand and the sea. They come with all the necessary amenities that include phone, air conditioner, mini bar for a fee, free Wi-Fi, safe for rent, satellite TV with international channels, hair dryer and much more. The hotel houses a restaurant, snack bar and a mini bar. The restaurant serves appetizing breakfast, lunch and dinner that include both local and international delicacies. Hit the snack bar will take care of your mid meal hunger pangs. Or head over to the mini bar to explore both alcoholic and non-alcoholic beverages. The hall bar serves cocktail and mocktails. Lancelot Hotel Lanzarote also offers in-room service to its guests. There is a plethora of sport and leisure facilities in and around the hotel to keep the guests occupied on their stay. Those who want to maintain their fitness level can leverage the full-fledged gym with high-tech equipment and machinery. Take a refreshing swim in the outdoor swimming and bask up some Canarian sun. Relax on the sun loungers sparkled across the pool while having refreshing drinks. It was ok. Not impressed with food. On the whole the hotel was good and well placed for local restaurants,transport and places to visit. Not really being a beach person I found the roof top pool a nice alternative. Had a few problems with travel arrangements and the staff did their most to help and resolve the difficulties. Yes, I would be happy to use the hotel again. The Hotel and staff were amazing !! Food diabolical. Rooms cold no heating on. Lack of heaters. Staff nice. Hotel clean. No tea or coffee facilities in room.